Minister of Water and Sanitation, Ms Nomvula Mokonyane has congratulated the winners of the 2016 Hack4Water competition during a Gala Dinner Ceremony held at iNkosi Albert Luthuli International Conventional Centre yesterday, 22 March 2017. This initiative is the brainchild of the Department of Water and Sanitation, in partnership with Open Government Partnership South Africa, Code for South Africa and Innovation Hub in its efforts to find innovative solutions in the water sector. The awarding of the winners came after a long day of deliberations during the World Water Day Summit and Expo held in Durban, with an aim of finding innovative solutions in water challenges experienced across the world. This innovation comprises a valve that is attached to any tap and releases water when it is touched. It saves water by stopping the flow when the valve is released. It can be used in the garden, the kitchen and bathroom. Mo-Wash is a mobile hand washer unit that provides event organisers with a cost-effective solution to the challenge of maintaining hygiene at an outdoor function or event. The mo-Wash requires no plumbing or drainage, and can be located anywhere. It uses a 12V battery for operation. Smart tank is an electronic tank that saves water by enabling water users to digitally select the amount of water they need, then releases the exact amount of water required. In cases of errors resulting in water spills, it won’t be wasted, the tank is connected to garden tanks that receive spilled water to reduce water wastage. Minister Mokonyane lauded all the 136 participants and encouraged all the South Africans to play their different roles by coming up with different innovative ways to save water. “These creative ideas that all the participants came up with are a proof that we have people that who are willing to join government in coming up with lasting solutions in saving water. 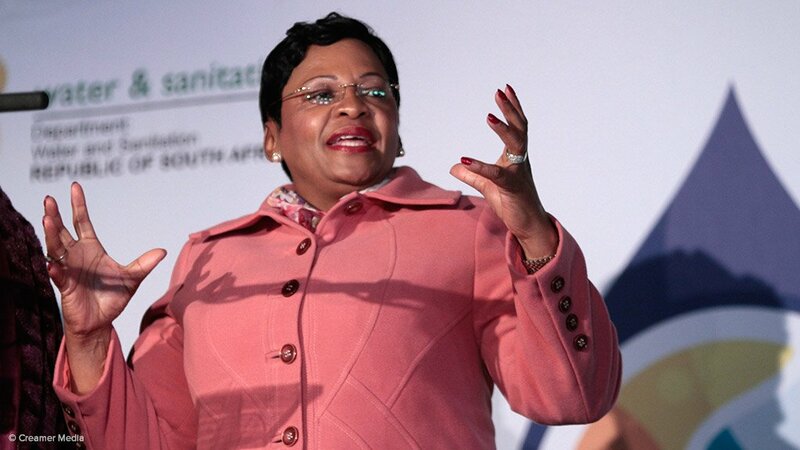 The solutions to this challenge should not be left to government alone, South Africa is a water scarce country and we all need to play a role in conserving our water resources,” she said.